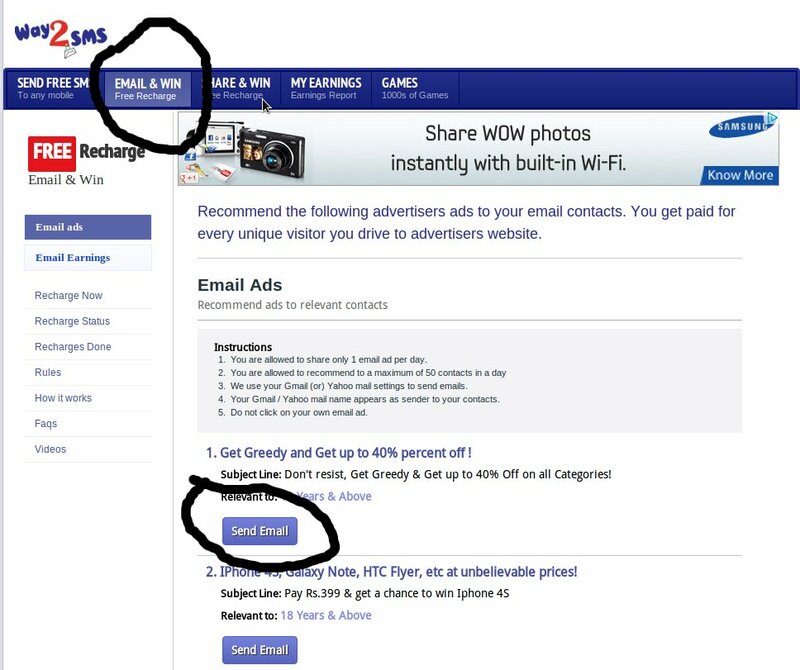 major web portal www.way2sms.com introduced new service . In 2006 - Way2SMS asked "Why can't personal SMSing be FREE?" 2012 - Again Way2SMS questions "Why can't mobile Talk time be FREE?" How Can I Earn Free Talk Time?? 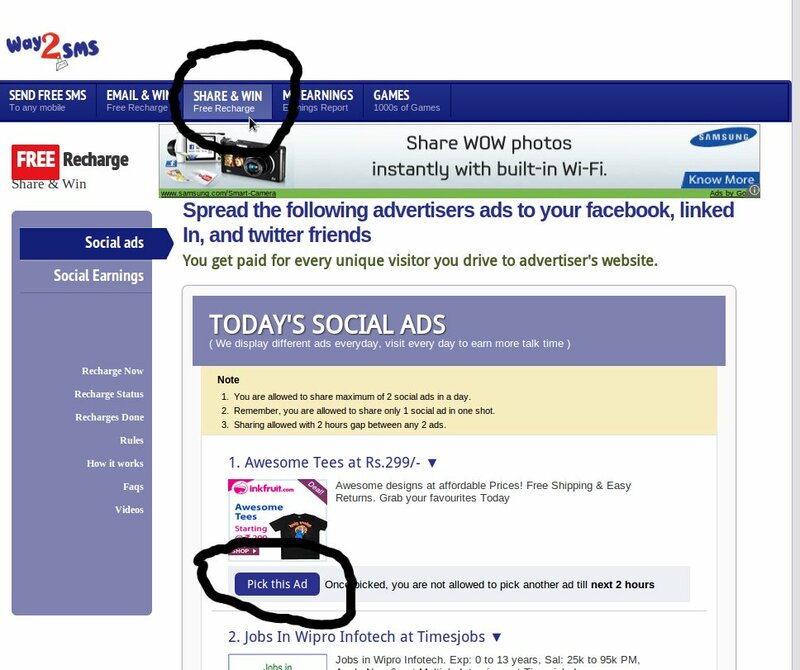 Share our advertiser Social ads to your facebook, Twitter friends . You will get paid for every Unique visitor you drive to advertiser website. Recommend Our advertisers products\services to your Gmail or Yahoo mail contacts. Way2SMS will reward you with a certain recharge amount for every Unique visitor you drive to advertiser website. 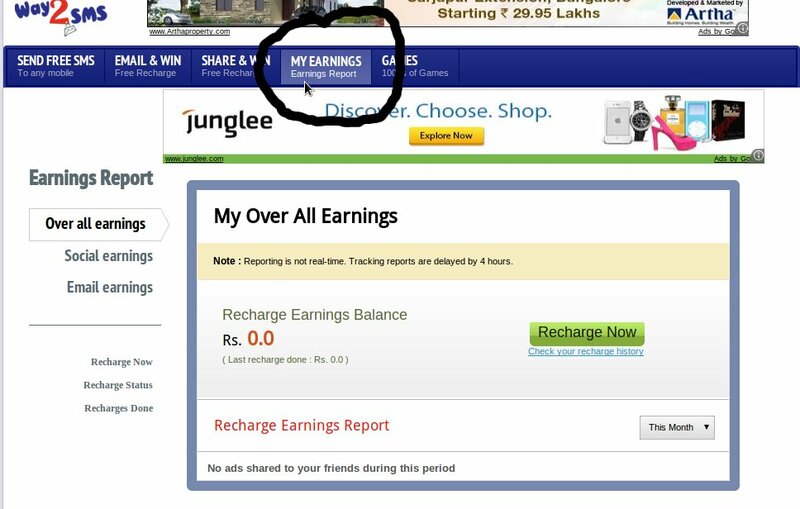 You can Convert this amount to recharge after Reaching Rs.10. Way2SMS Supports recharge on all major telecom operators In India.